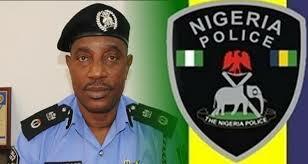 I’m not in any doubt at all that the Inspector-General of Police, Solomon Arase, has come into his new position with his own agenda, as to how he will manage the activities of the Nigerian Police Force. But, I’ve chosen to send him this memo from the Office of the Concerned Citizen of Nigeria and as a young Nigerian who has a stake in the continued existence of the country as a single, indivisible and united entity. I feel it’s important I make my concerns known to him, because the action and inaction of the Police have great impact on local as well as foreign direct investments in the country. If we must rise up to the challenge of fighting crime and criminal elements in our society, conversations like this is a must-have, hence, I’ll like to use this opportunity to draw the IGP’s attention to things that I feel other concerned citizens want him to use his time in office to bring to manifestation in Nigeria. First is the issue of police welfare. It is only when the police are healthy, happy and well-motivated that they can combat crime and face criminals in the society. When the policeman and his family live in squalour, when there is no proper medical attention for them and their families, they become vulnerable and susceptible to crime and other dubious acts; they become willing tools and partners in the hands of criminals to perpetrate their nefarious activities. We cannot afford to play politics with the welfare of the police if we must address the challenge of crime and insecurity in a country like Nigeria. For these reasons, salaries must be paid as at when due, clean and decent uniforms must be given to each police officer. A situation where policemen and women are meant to buy their uniforms from proceeds of bribes and extortions from innocent citizens should not be allowed to continue. This can be done if we make a choice to work at it and make a commitment to see it come to fruition. Secondly, it is through adequate local and international training that the police can acquire knowledge, gain experience and develop skills that can and will make them effective in the discharge of their responsibilities. Going for training, whether local or international, should not be politicised; a situation whereby being sent on a training is tied to how much “returns” a junior officer brings to the table of a superior officer should not be allowed to thrive. Training shouldn’t be a function of where a police officer comes from or the religion they are affiliated to. Training should be planned and budgeted for annually and provision should be made for the transfer of the acquired knowledge by whoever goes for such training. It is through training that the police can be empowered with the knowledge and skill that are comparable to their counterparts in other parts of the world. More importantly, training in intelligence gathering should be given a priority; as this is very fundamental to combating crime and criminal elements in the society. Also, Arase should consider discipline as an important element in his agenda as he settles down in his new role. It is very common to see police officers wielding guns and horsewhips, especially in Lagos State wearing mufti in danfo buses arresting innocent citizens and extorting money from law-abiding persons. This must not be allowed to continue. It is also common to hear of extrajudicial killings in Nigeria, and innocent people have been known to have been used to replace criminals in detention. The level of impunity and infractions in the Nigerian Police and bewildering and if the IGP must bow out with his head high when his tenure expires, he owes citizens of Nigeria a duty and responsibility to instil discipline in the police operatives. And one of the ways to achieve this is never to sweep reported cases of impunity under the carpet; they must be investigated and culprits must be seen to be punished. Arase must discipline any officer found to have used their office and position to abuse and molest innocent and law-abiding citizens. Closely tied to discipline is reward. Men and women of the Nigerian Police who have performed creditably well and shown exemplary conduct in the discharge of their duties should be adequately rewarded. This reward must go beyond a handshake, a plaque or a garland on the neck; reward can come in the form local or international training and internship with police authorities in developed countries, offer of scholarship to children of the police officer concerned, increase in salaries and allowances, soft loans to spouses of police officers to start small business or even better accommodation or car, just to let them know that someone is watching and their labour is not in vain. This will serve as motivation to others and encourage them to strive towards more exemplary conduct in the discharge of their duties. In addition, there must be constant, consistent and well-coordinated communication; first, within the police force and subsequently with external stakeholders. It is very critical that policies and new regulations should first be communicated to the internal audience to gain their support, buy-in and understanding and they must be seen to be the first to live the brand attributes of the police force. While external stakeholders must be given a platform to provide feedback based on their experience with the police, which can be incorporated in the strategic planning for a better, more professional, more efficient and a people-centred police. Over and above all these, law-abiding citizens must be made to feel happy, safe and secure in the presence of the police, the era of mutual suspicion and hatred between the police and citizens should die a gradual and natural death; community leaders and influencers should be empowered and protected to give vital information to the police to aid them in the fight against crime and criminal elements. Finally, the police should not be used as errand boys of the politicians, political office holders and heads of large corporations. If the police are funded from taxpayers’ money, they shouldn’t be seen to cater only to the wealthy and influential members of the society, they should be seen to take responsibility for all of us so that Nigeria can be great again.